This is old version BattleHand 1.1.2 apk for Android, you can install it if you want to downgrade or install old app. It is top Role Playing apps from Kongregate. In meantime, player can formulate strategy to solving quest and get many points. There are plenty of cards on deck, so player will keep interested about what is going on for next session. For starter, cards are limited then will increase after you win several combats with enemy or solve the mission. You can read instruction to know in-depth about this game to prevent trial and error basis. The graphic on this game is stunning with HD resolution. Player will see clearly each attack from characters or enemies. Another familiar feature uses element matters such as water, wind, or fire. As usual, you can fight certain element with its natural opposite one. For example, fire will go out after player use water and earth to defend from water attack. Specific area will be good for particular element, so player has to keep on watch where character stand is. 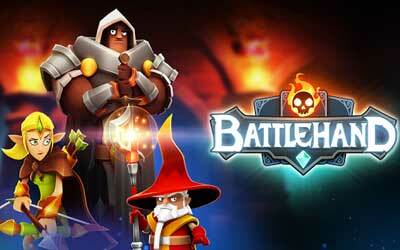 Therefore, Battlehand for Android will bring new experience about playing battle type game.